DOVER AIR FORCE BASE, Del. 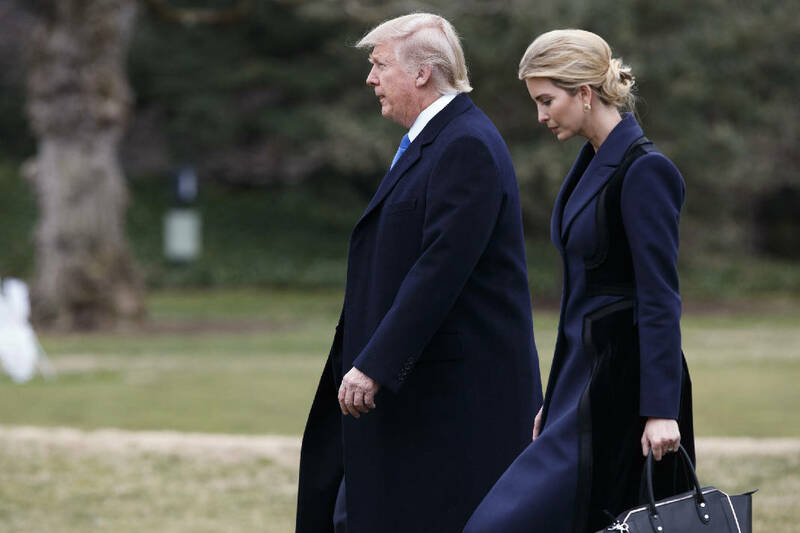 (AP) — Assuming the somber duties of commander in chief, President Donald Trump made an unannounced trip Wednesday to honor the returning remains of a U.S. Navy SEAL killed in a weekend raid in Yemen. Chief Special Warfare Operator William "Ryan" Owens, a 36-year-old from Peoria, Illinois, was the first known U.S. combat casualty since Trump took office less than two weeks ago. More than half a dozen militant suspects were also killed in the raid on an al-Qaida compound and three other U.S. service members were wounded. More than a dozen civilians were also killed in the operation, including the 8-year-old daughter of Anwar al-Awlaki, a radical cleric and U.S. citizen who was targeted and killed by a drone strike in 2011. Trump's trip to Delaware's Dover Air Base was shrouded in secrecy. The president and his daughter, Ivanka, departed the White House in the presidential helicopter with their destination unannounced. A small group of journalists traveled with Trump on the condition that the visit was not reported until his arrival. After returning to the White House, Trump commented on the trip at the swearing-in of Rex Tillerson as secretary of state. "I just returned from an amazing visit with a great, great family at Dover," Trump said. "It is something very sad, very beautiful. Ryan, a great man." Marine One landed at Dover shortly before a C-17 believed to be carrying Owens' remains touched down. The president met with Owens' family during a two-hour visit to the base. The sailor's family had requested that Trump's visit and the return of Owens' remains be private. Former President Barack Obama lifted a ban on media coverage of the casualty returns, though families may still request privacy. A spokeswoman at Dover said about half of families choose to allow media coverage. Owens joined the Navy in 1998 and was the recipient of two Bronze stars, a Joint Service Commendation and an Afghanistan Campaign Medal, among other honors. In a statement following his death, the Navy Special Command called Owens a "devoted father, a true professional and a wonderful husband." Sunday's pre-dawn raid — which a defense official said was planned by the Obama administration but authorized by Trump — could signal a new escalation against extremist groups in Yemen.